News Map Website – News, a new information either event, accident, social work, terrorists, sports, technical, launches, new innovation or election or in any form has some link with physical geographic location. How you filter latest news for a particular area or location? It would be really easy, nice and great way to filter the location based news from the interactive world map. This news map website is really useful when you want to narrow down the data of location of which you are interested in. Not only this, but you can easily analyze new happening either good or bad around the world by seeing those sticky icons, or with cluster size or with colors. 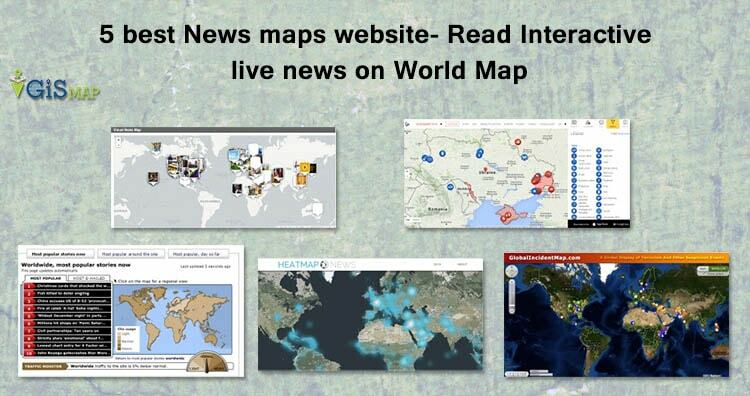 Liveuamap is opendata-driven media platform that change the way you receive latest news with Map. Liveuamap supports Multi-language and provides current data from various sources and social media websites. 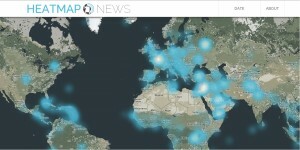 Not only it fetches the data and shows you map but it also analyse the category of news and indicate the icon as shown below i.e like Anti-air, SAM Biohazard, Camps, tents, Captured Crane, construction Dead, Destruction Drones, robots, Drugs, Electricity, blackout, Explosion, blasts, Facebook, Firebombs, Fires etc. If you missed news from previous dates, you may select that date and grab the news easily. With website liveuamap also available in both android and iOS app. It is really an awesome and that why I have placed it on first position from all news map website. GDELT project is taking feeds from various websites like Google Ideas, Google and Google News, Yahoo Fellowship, BBC monitoring etc covering over 100 languages and identifies the people, locations, organizations, counts, themes, sources, emotions, counts, quotes and events driving our global society every second of every day. You may see their two projects one which uses CartoDB platform. You can explore the dotted map from here. And the other which shows you live trend with image over icon on maps. With map you can also explore the advance analytics data. Heat Map News is another website which takes out news from Google News and is currently running 3.1 version and is been updated since 2014. 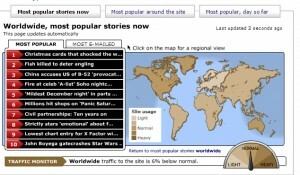 You can view hotspots over world map and click over desired area to get the current news headline over up maker popup with link to the source of news. We can filter out the news according to last hour, today, this week or even by selecting the date. BBC news is one of the most popular news network. They provided a very simple news map website. Just click over the regional view i.e continent of world and get the latest top 10 most popular news or top 10 most e-mailed news. 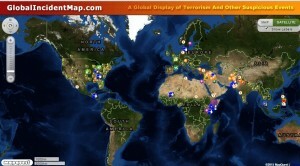 It provides global display of terrorism and other suspicious events. They provide free as well as subscription based news. While free version of map is time delayed for 24-48 Hours. Its sub domain points to other news categories also which can be seen over map viz Amber-Alert Map, HAZMAT Situation Map, Forest Fire Map, Disease Outbreaks Map, Gang Activity, Border Security issue etc. This map fetches and display various newspaper front page around the world. You can explore this map from here. You may also see an example of ABC news which was created with the help of Google Map Engine or my Google maps. While this map is not providing live feeds, but one can take a look over it to find the solution for how to create the map news website easily and quickly. Knowing about location of the news is really important to analyze the situation. What you think about the News and map association? Do comment below if you know any other news website displayed over map or if you want to share any important views related to this post. I’ve been working on another one: https://lrner.io. I have yet to find a site like this that provides a great consumer-level experience. liveuamap is pretty good, but the information is pretty specific to conflict and a bit overwhelming with the amount of news listed.